The feud between Cardi B and Azealia Banks has reignited -- and it's getting pretty messy. During a visit to The Breakfast Club on Friday (May 11), the always outspoken Banks threw out some major insults about Cardi, calling her everything from an “illiterate, untalented rat” to a "caricature of a black woman." 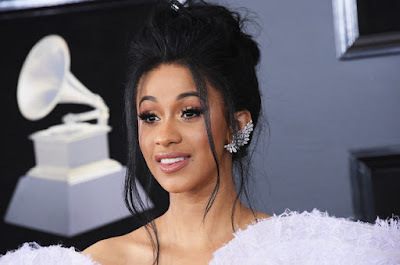 Cardi B quickly responded to Banks' offensive comments on Instagram -- in both a post of her own, and the comments of another featuring video of the conversation in question. Shortly after, the Invasion of Privacy rapper deleted her entire IG account. Read Cardi B's now-deleted IG statement in the screen grab below. This isn't the first time Cardi and Banks have battled it out online. In September, Banks called Cardi a "poor man's Nicki Minaj," and accused her of using a ghostwriter for her hit song "Bodak Yellow." In response, Cardi posted a video of Banks dancing to "Bodak Yellow" in a club.